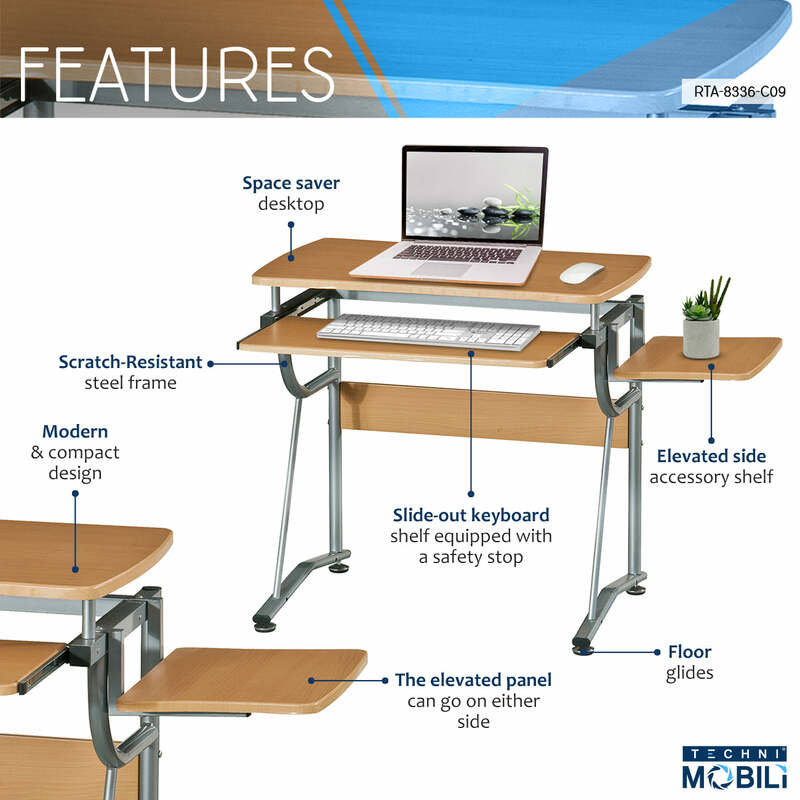 This Techni Mobili Compact Computer Desk saves space with its compact footprint. It features a slide-out keyboard shelf equipped with a safety stop, and a side accessory shelf. The slide-out keyboard shelf and accessory shelf each have a 30 lb. weight capacity, while the desktop can hold up to 80lbs. The simple yet sturdy desk is made of heavy-duty MDF panels in Cherry color, with a moisture laminate veneer atop scratch-resistant powder-coated steel frame. Color: Cherry.